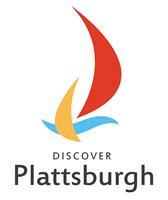 To strengthen the quality of life for residents of the City of Plattsburgh, surrounding communities and visitors by professionally instituting safe and affordable programs, services, and facilities designed for all ages, cultures and abilities. The City of Plattsburgh has a long standing tradition of facilitating recreational opportunities for residents of the city and of surrounding communities. City of Plattsburgh Recreation manages and maintains the Municipal Beach, the Crete Memorial Civic Center, the City Recreation Center, as well as seventeen parks and open spaces throughout the city.